It takes about 1.5 hours from Southern Bali and 1 hour from Sanur by boat. The clear marine water with beautiful corals makes marine sports and crusing more enjoyable. The island surrounded by mangrove forests has resort hotels, so this is a perfect spot to spend a relaxing time in the nature. 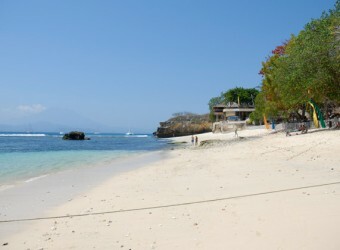 I went to Lembongan Island, a small tropical island which is rich of nature. I had a long stay on this holiday, I wanted to go to isolated islands near Bali, and I went there on cruising. It`s good that we can go there on one day trip. I fully enjoy snorkeling and marine sport activities. I was lucky because it was good weather. Since it was such a rare chance to go to Lembongan Island so time to enjoy snorkeling! But suddenly the rain fell and the sea getting rough. I stayed for 3 days and I hoped sunny days. It was good that the second day was clear!